Enjoy the best inspirational, motivational, positive, funny and famous quotes by Ahmad Alaadeen. Use words and picture quotations to push forward and inspire you keep going in life! 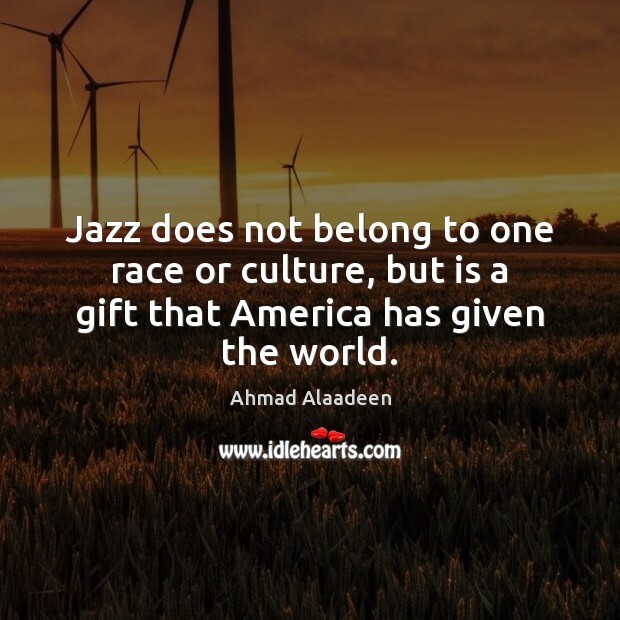 Jazz does not belong to one race or culture, but is a gift that America has given the world.